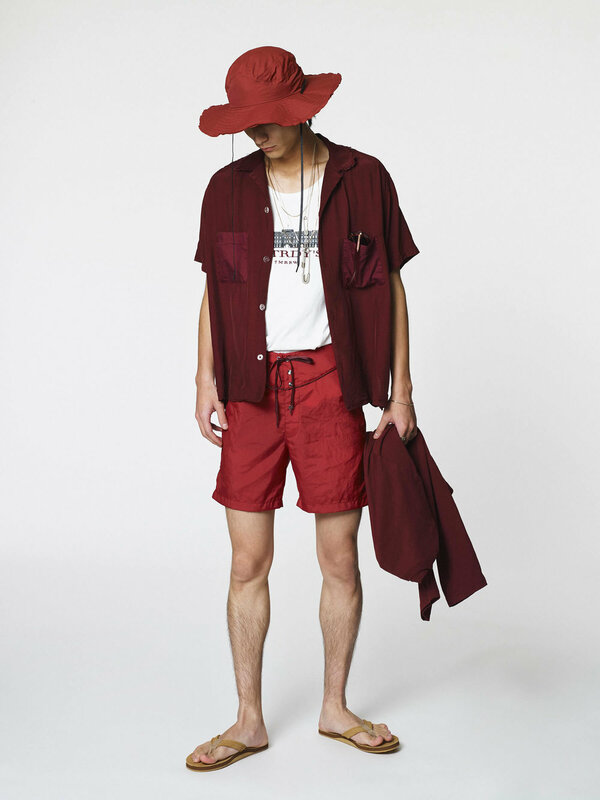 Burgeoning Japanese imprint YSTRDY’S TMRRW crafts another set piece of imaginative silhouettes, with this forthcoming Summer 2019 range gathering inspiration from the diverse styles of both London and Belgium. 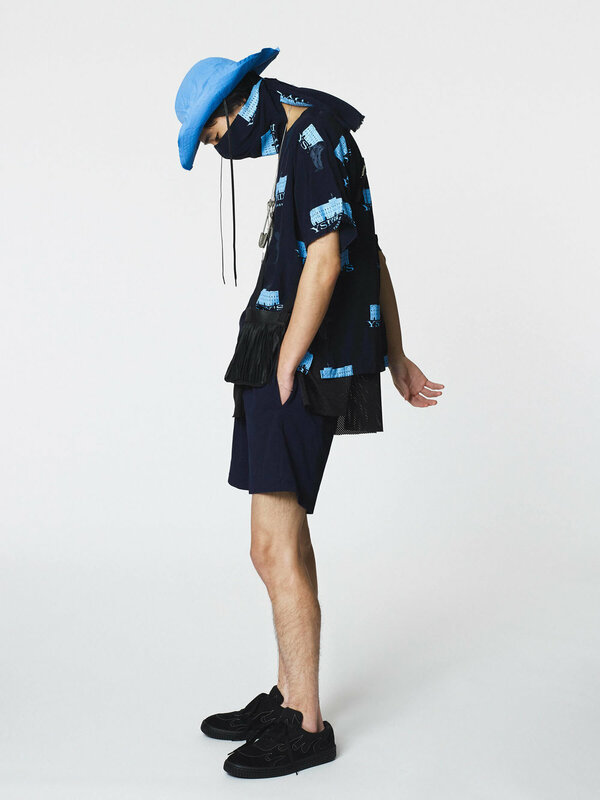 Mixing sportswear flair with utilitarian fisherman garb, the collection is an impactful set of strong executions, utilizing an all over print fabrication to an extreme across a full kitted ensemble of tees, shirting, and loose pajama-akin trousers. This playful yet mindful ethos -- though without the contrasting notes of architecture and statuesque graphics-- continues along coinciding structures as many oversized cuts imbue the bodies of striped long sleeves and loose tops by way of two pocket camp collar shirts and much simpler crewnecks. 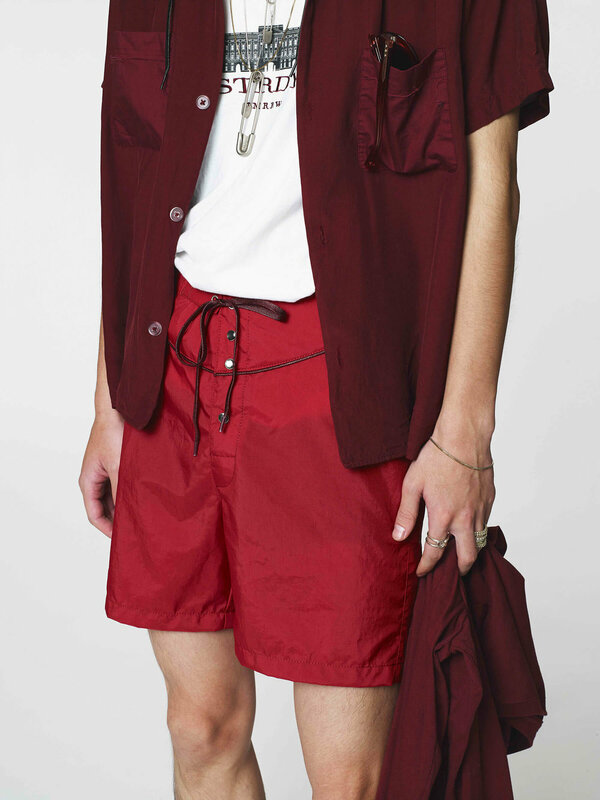 Deep saturated reds stand out along drawstring shorts while contrasting blue embellishments replace pleats on three quarter trousers, leading into the new arrival’s most starring feature: an accentuated weatherproof poncho unveiled in excess visual form, a piece basking in well-deserved limelight. Grab a detailed look here thanks to online purveyor COVERCHORD and expect a release to slowly roll out within the coming months.